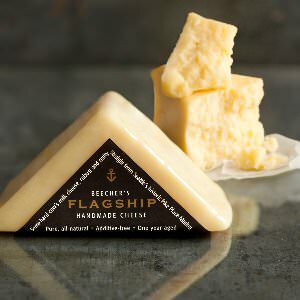 Kurt Beecher Dammeier, a cheese lover since childhood, opened his first Beecher’s Cheese shop in the heart of Seattle's Pike Place Market in 2003 and in that year the first wheel of Flagship Cheese, Beecher's signature cheese was made. 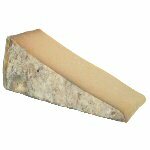 This cheddar from Washington State is indeed a flagship as it received a number of awards. 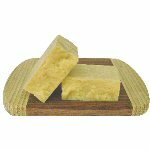 This semi-hard cow's milk cheese has a uniquely robust, nutty flavor. It is made with pasteurized milk and aged for 1 year. Beecher's Cheese reflects Kurt's passion for making artisan cheese and his believe of eating food free of harmful additives and preservatives, as well as believing that people should know more about the food they eat – where it comes from, what goes into it and how it is made. 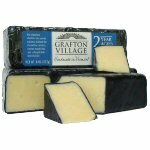 We cut and wrap this cheese in blocks of approximately 1 pound and 8 ounces. Ingredients: Pasteurized milk, salt, cultures, enzymes.